Oliver Beer was born in 1985 in the United Kingdom. He studied music before attending the Ruskin School of Fine Art, University of Oxford. His personality and his background in both music and fine art led to an early interest in the relationship between sound and space, particularly the voice and architecture. He has translated his research into fascinating performances in which spectators take part by the mere fact of their presence, and he makes sculptures and videos that embody, literally or metaphorically, the plastic expression of this subtle relationship and the way the human body experiences it. Oliver Beer’s work has been the subject of many screenings as well as solo and group exhibitions, notably at MoMA PS1, New York; the Centre Pompidou, Paris; Farfa Abbey, Rome; Modern Art Oxford; WIELS, Brussels; the Hebbel Theater, Berlin; Galerie Thaddaeus Ropac, Paris; the Palais de Tokyo, Modules Fondation Pierre Bergé—Yves Saint Laurent, and the Lyon Biennale. 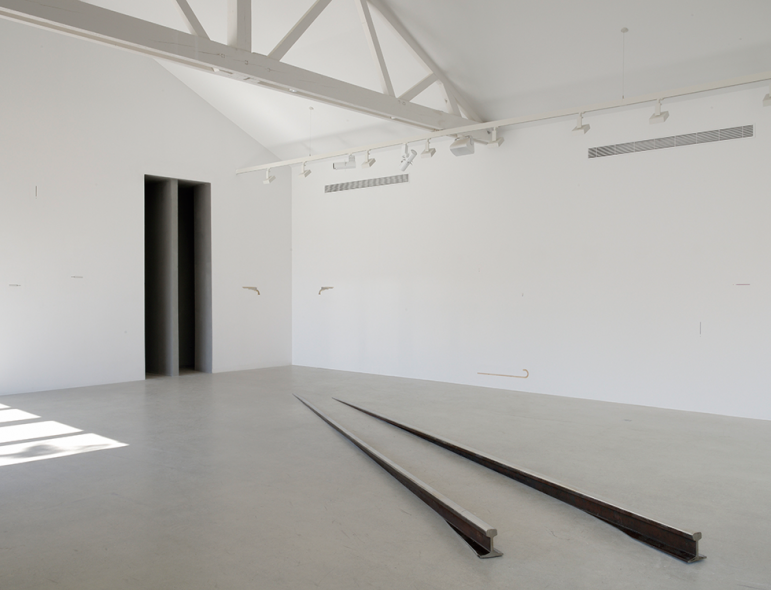 Oliver Beer has also held residencies at the Palais deTokyo, Paris, the Villa Arson and the Fondation Hermès. Since 2007 Oliver Beer has been developing The Resonance Project, an ongoing body of work consisting of films, sound pieces and performances that use the human voice to stimulate architectural spaces to resound at their resonant frequencies, transforming them into vast architectural instruments. Every room, every space, has its own particular resonant frequencies—the notes at which it will most easily resound; and a room can be made to resound like a wine glass sings at the tip of a finger. This series has led Beer to work in extraordinary architectural and social contexts, from the Victorian sewers of England to the transparent skyline-tunnels of the Pompidou Centre and the austerity of a Renaissance monastery. The artist continued this series of works in April 2014 with a composition performed in situ for five singers at the MoMA PS1, curated by Jenny Schlenska and the Palais de Tokyo—giving the architecture its voice and revealing its unique acoustic print.